Abstract : In this paper, we present a method for extracting consistent foreground regions when multiple views of a scene are available. We propose a framework that automatically identifies such regions in images under the assumption that, in each image, background and foreground regions present different color properties. To achieve this task, monocular color information is not sufficient and we exploit the spatial consistency constraint that several image projections of the same space region must satisfy. Combining monocular color consistency constraint with multi-view spatial constraints allows to automtically and simultaneously segment the foreground and background regions in multi-view images. In contrast to standard background subtraction methods, the proposed approach does not require a priori knowledge of the background nor user interaction. 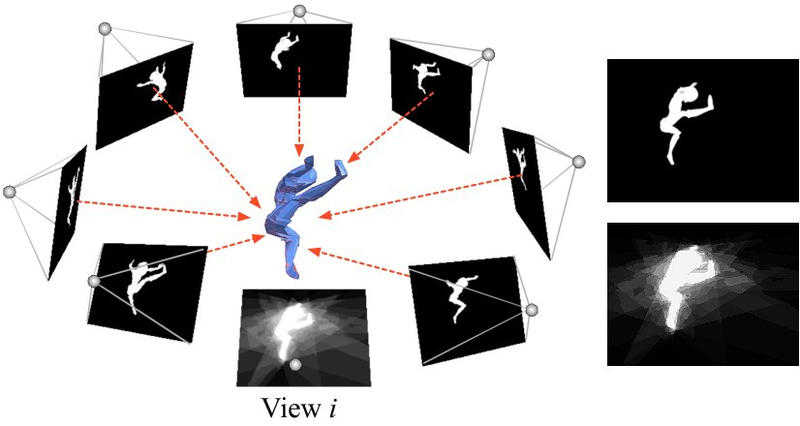 Experimental results under realistic scenarios demonstrate the effectiveness of the method for multiple camera setups.